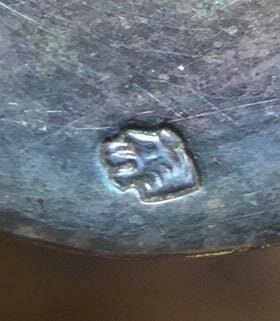 Offered here is a late 18th century historic and important colonial coin silver punch strainer by Ephraim Brasher of New York, later master of the Philadelphia mint and heralded maker of the Brasher Doubloon. The punch strainer is of an unusual cut form (typically these have open work on the handles). 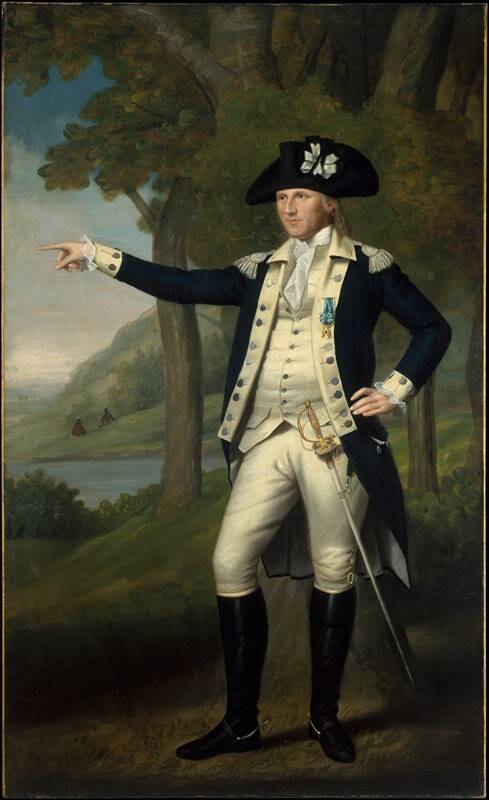 Monogram is a dead match to a teapot and sugar urn by Ephraim Brasher in the City Museum of New York that is attributed to New York City Mayor and Revolutionary War hero, Marinus Willett by the original 1946 donor, Mrs. William H. Wheelock, a descendant of Willett [Ref: https://collections.mcny.org/CS.aspx?VP3=SearchResult&VBID=24UAYW5V3QVPE&SMLS=1&RW=1280&RH=690]. 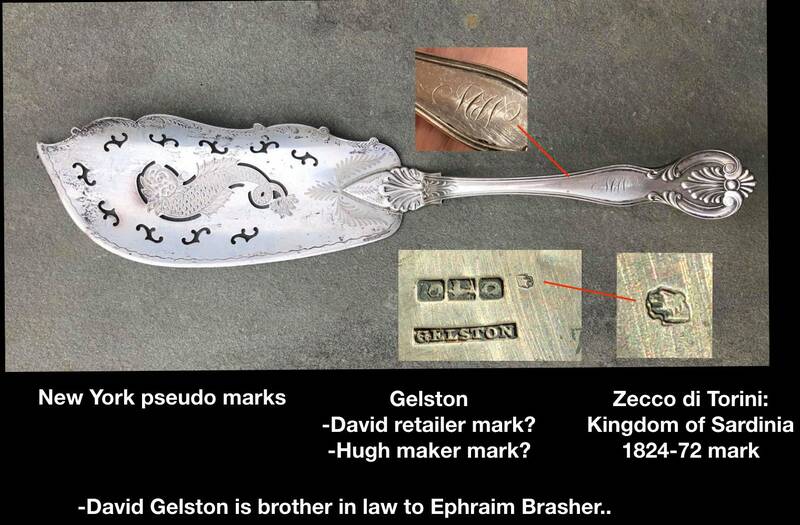 The strainer is double stamped with Ephraim Brasher's EB mark (Ref: Beldon, page ). 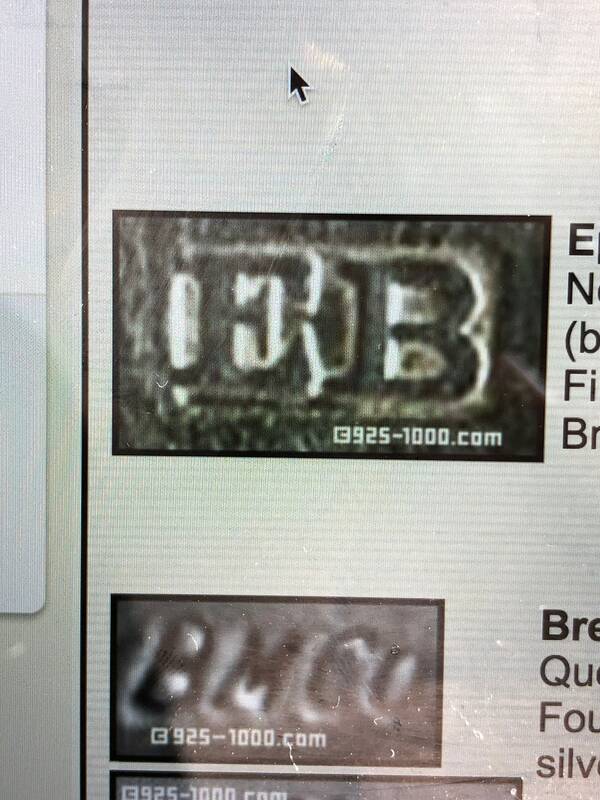 Also marked with a later 19th century Zecco di Torini (Kingdom of Sardinia) assay mark (1824-1872). All of the pieces in this collection bear this rare mark and it is believed to have been picked up when the pieces were assayed by an Italian collector or American expat in transit from the Kingdom of Sardinia. Total weight: 4.555 ozt and 10" in length. 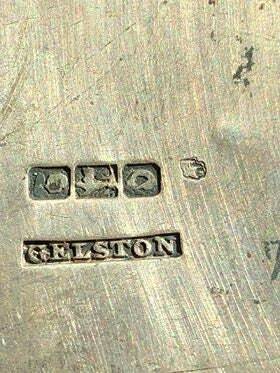 Also, with identical provenance, a fish slice with New York maker marks (pseudomarks) [Reference McGrew, see attached photo] and possible retailer mark of New York merchant, Gelston. 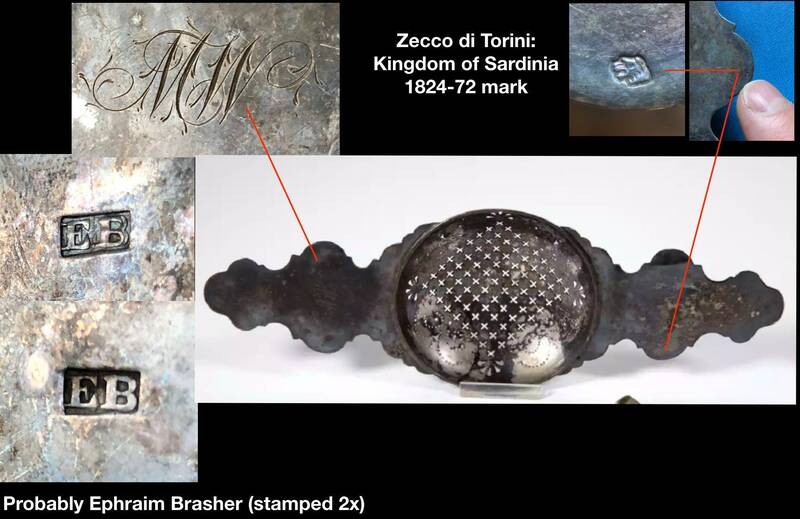 Also marked with a later 19th century Zecco di Torini assay mark (1824-1872). Total weight: 5.155 ozt and 12.5". Finally, an Andrew Ellicott Warner silver gilt salt shovel from Baltimore. 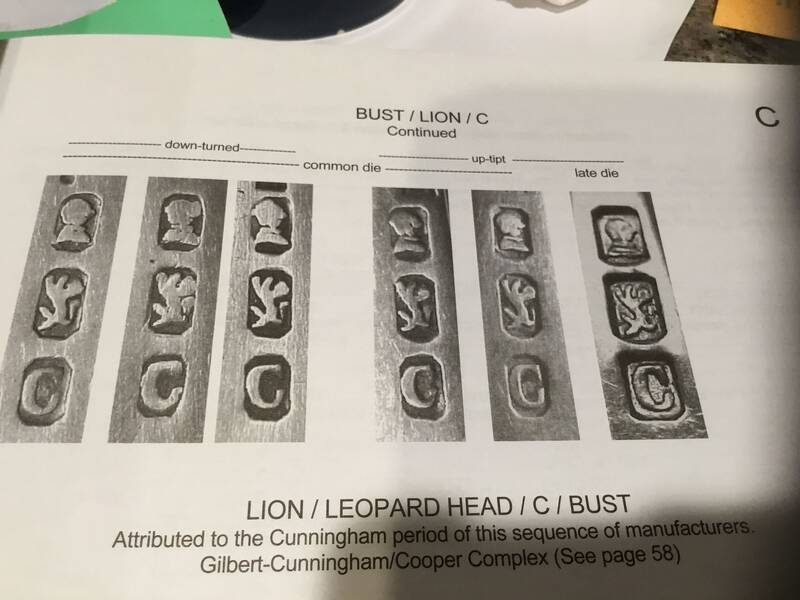 This piece is included because it also bears the later Zecco di Torini assay mark and was traveling with the other two items. Provenance: These items came from the collection of late Civil War historian and Virginian, Grymes Henneberger of Harrisonburg. Ships in a hand sewn tarnish resistant custom get bag. Do not wash bag and it will repel tarnish for many years.